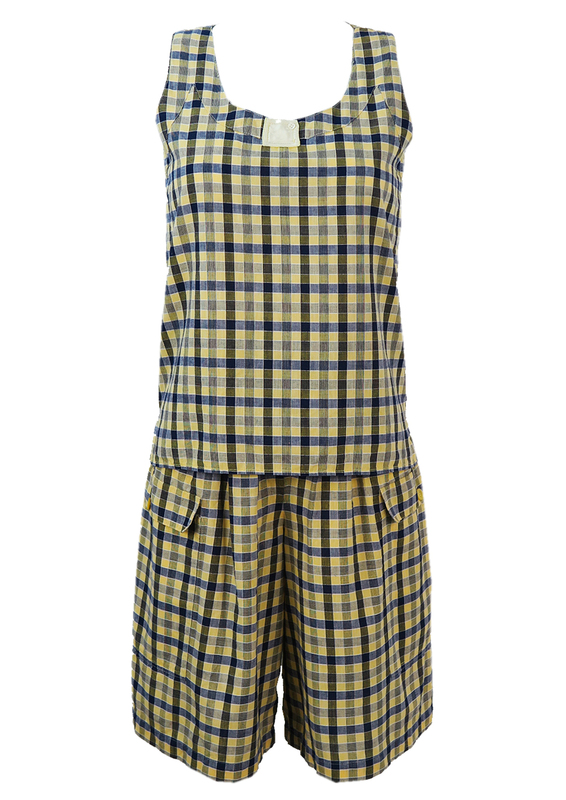 Lovely cotton two piece consisting of a loose fit sleeveless top and culottes featuring flap fronted pockets. 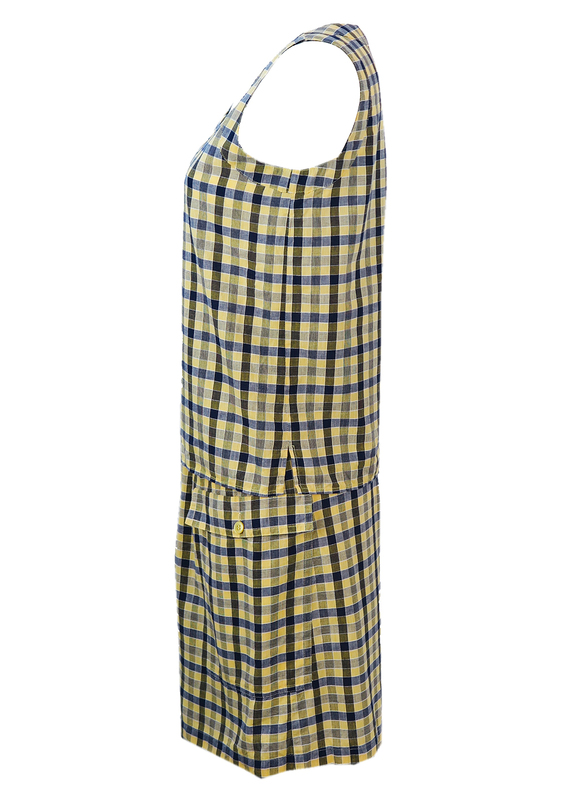 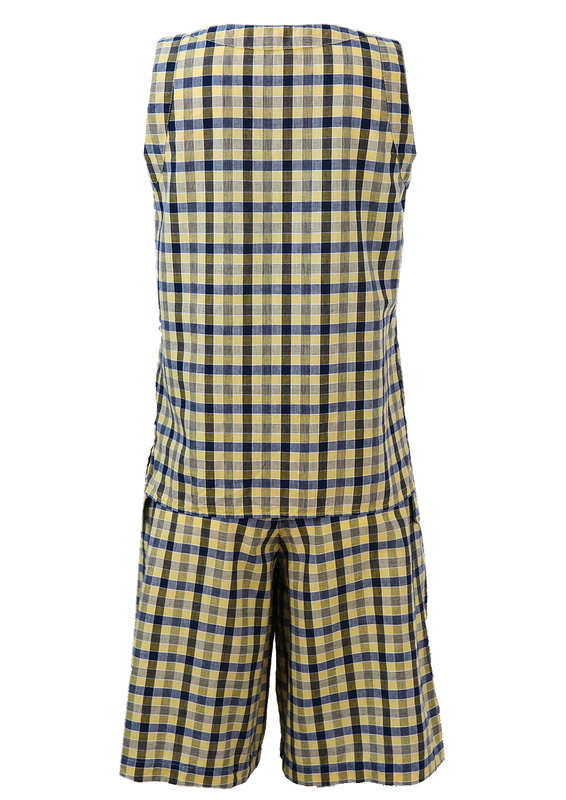 The two piece has a check pattern in summery colourways of yellow and navy blue with crisp white highlights. 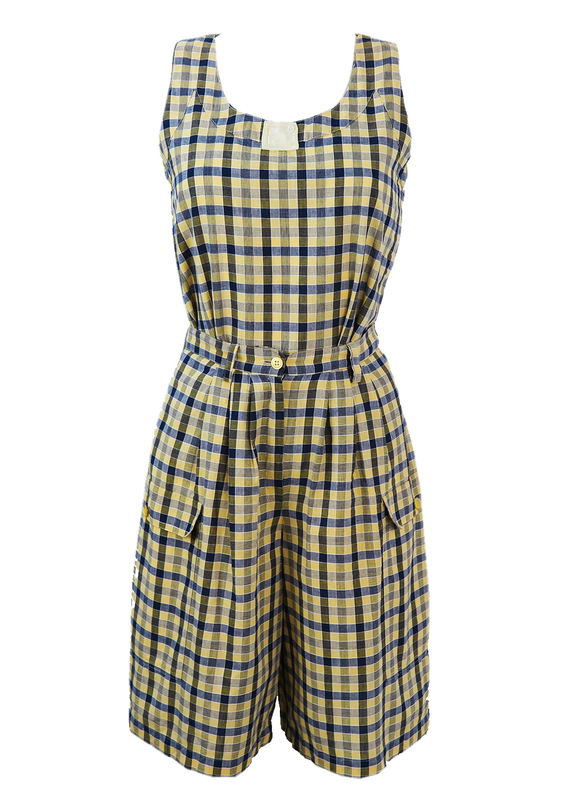 Great worn together but equally successful as separates with other bespoke outfits! 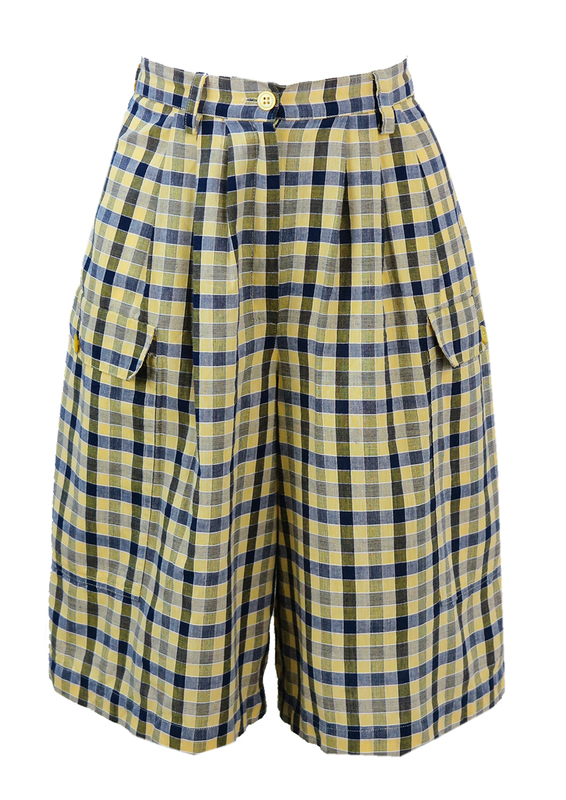 Shorts – 22", Top – 23"